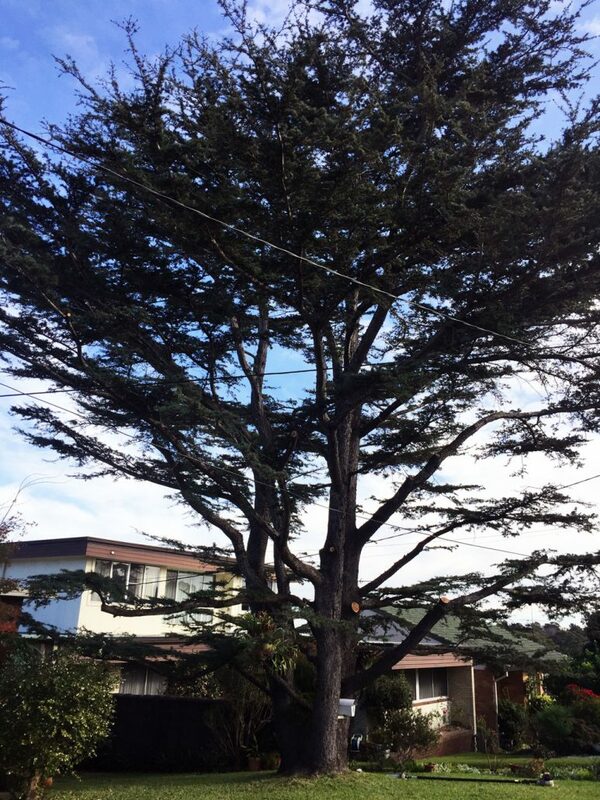 This beautiful Diadara in Lane Cove had its lower branches lopped so as to keep the canopy on one side of the tree above the electrical wires. This is selective reduction pruning, and is always approved by councils where parts of a tree may be obstructing, or grow to obstruct, electricity wires. Fortunately, most of the canopy of this tree is well above the electrical wires.